I love the fresh flavors of springtime and lemon is definitely one of my favorite. 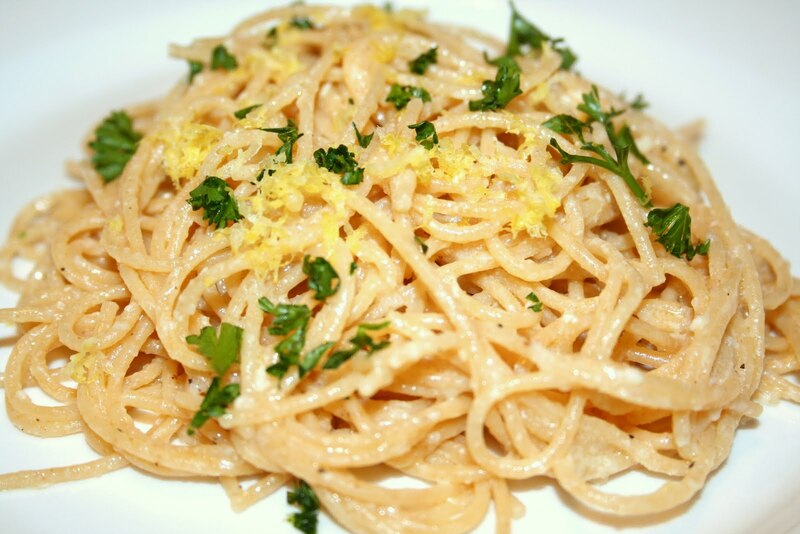 A few years ago when I found this recipe for Lemon Spaghetti from Giada DeLaurentiis on Food Network I knew that I had to try it. Ever since then I've made it numerous times, and many times a variation of it when I'm working from home and want a quick lunch that isn't my normal deli-sandwich. Now that we're in full-on spring mode I knew this was the perfect time to make this dish again. It's such a refreshing and light take on spaghetti with simple flavors: lemon, olive oil, Parmesan cheese and basil (though occasionally I make with parsley as you can see - it all depends what I have on hand). Drain the pasta, reserving 1 cup of the cooking liquid. Toss the pasta with the lemon sauce, and the reserved cooking liquid, adding 1/4 cup at a time as needed to moisten. Season with salt and pepper. Garnish with lemon zest and chopped herbs.